What’s this ‘Ksar Char Bagh’ we hear you say?! Head Chef Patrick recently did a recipe reconnaissance mission to Morocco and after spending some time in the mountains with the nomadic Berber tribes he decided to treat himself to lunch at the beautiful Ksar Char Bagh hotel in Marrakech. 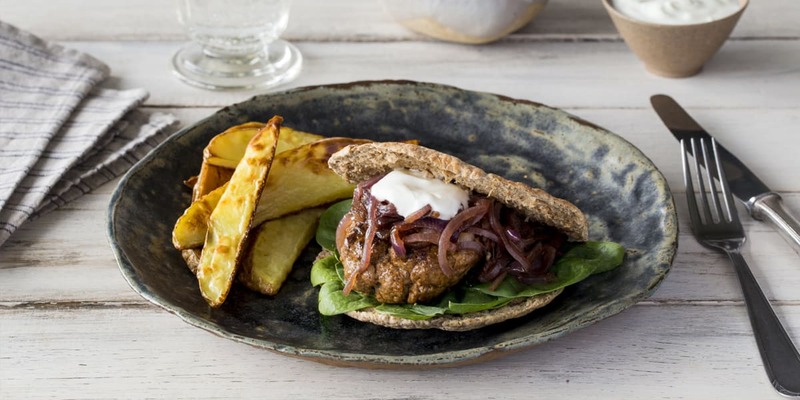 Their Moroccan spin on a beefburger left a lasting impression! Check out his Moroccan video diary on our blog. Pre-heat the oven to 200 degrees. Take the mince out of the fridge 30 mins before cooking if possible. Peel and chop the onion in half lengthways through the root. Slice the onion very thinly widthways into half moons. Heat 1 tbsp of olive oil in a saucepan on low heat and add the onion with a pinch of salt and pepper. 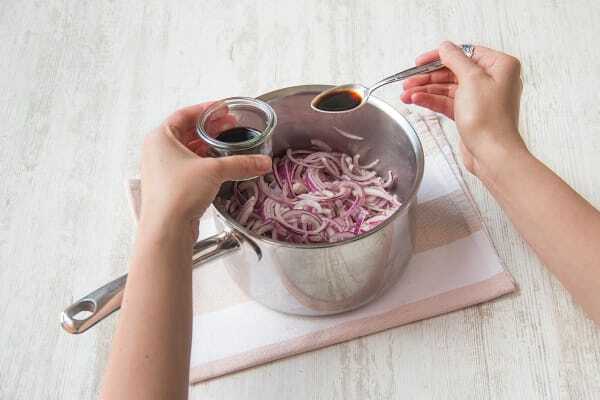 Add the balsamic vinegar, place a lid on the pan and gently cook for 20 mins, stirring once in a while. Wash the potato but don’t peel it. Chop the potato lengthways into wedges the thickness of a thumb (if you had chunky boxer’s thumbs). 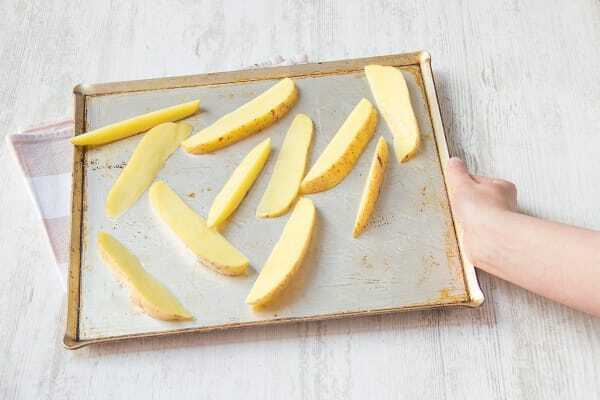 Toss the wedges in 1½ tbsp of oil, lay them out in one layer spaced apart on a baking tray and cook on the top shelf of the oven for 20-25 mins (until soft inside and brown on the outside). LH: Mix the beef mince in a bowl with the Ras El Hanout and the ketchup and just under ½ tsp of salt. Form the beef into 4 equal sized burger patties. 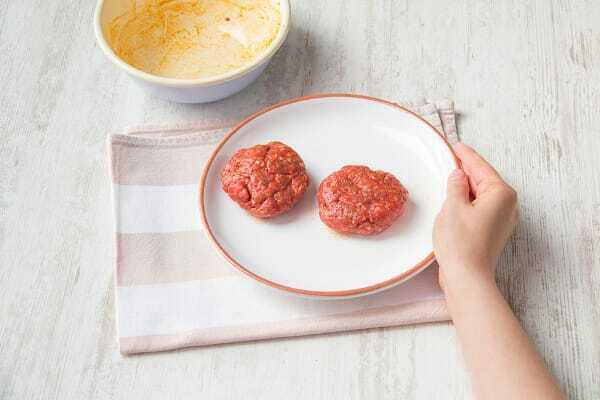 Tip: Don’t press the meat together too firmly as this will make the texture of the burger tough. Heat 1 tbsp of oil in a non-stick frying pan on medium heat and once hot gently lay in your burgers. Cook for around 5-6 mins on each side and turn them only once. 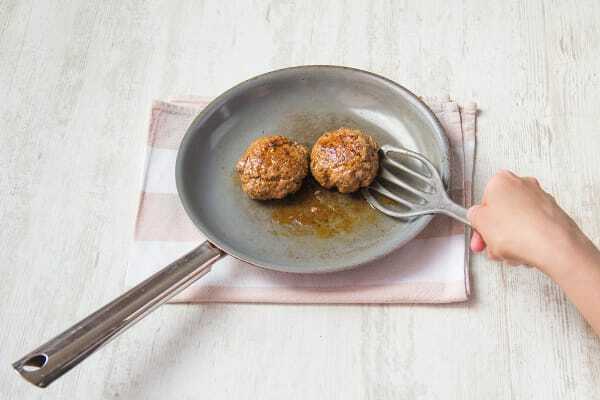 Tip: If you want to cook the burger a little more in the middle you can place it in the oven for a few mins after frying. If you want to sandwich the burger between some pita bread simply toast the pita for a few mins then split it in half. If you want to go pita-free you can always freeze them for another meal. 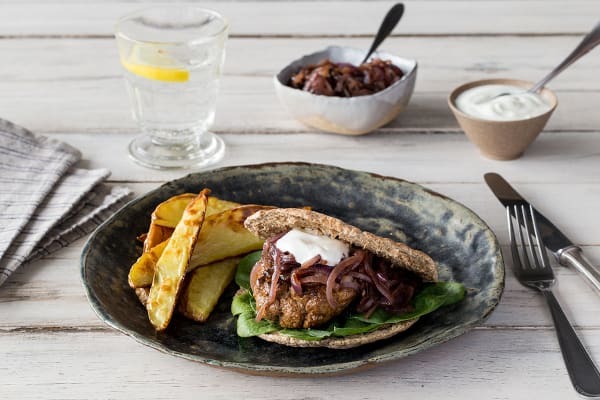 Serve the burgers with a spoonful of red onions, a spoonful of Greek yoghurt, the potato wedges and the spinach leaves (we left ours undressed to balance against the richness of the burger).